January is a quiet month? Really? Not here at Sugar Fix Dental Loft! Our fun filled week was packed with same day dentistry including crowns, multi-surface restorations, and we even threw in some veneers! 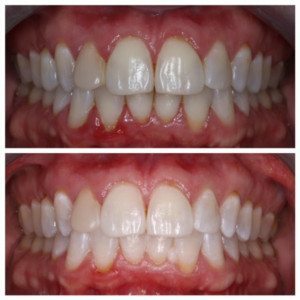 The restorative work that we completed was done with Cerec technology to give our patients healthy and happy smiles! 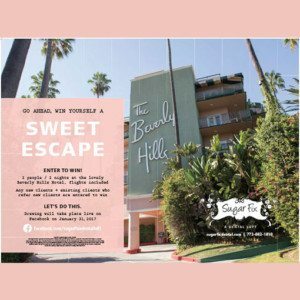 The countdown is also on for our Beverly Hills Sweet Escape Giveaway! Schedule your appointment as a new patient for cleaning and exam or refer one and you are both entered to win. The drawing will be on January 31st. Who wants to head to sunny California?! I know we do! Win a trip for two, with flights included!! Our associate, Dr. Alli dove in feet-first with our newest technology, the Cad-Cam Ortho scan when treating two patients that are very dear to her. The scan is an efficient and more pleasant experience for our patients and we are thrilled that Dr. Alli enjoys the technology and the treatments associated with it as much as we do. Both patients will be treated with Invisalign orthodontics without the mess of goopy impressions. We are always so excited to see new faces here at Sugar Fix Dental Loft! We strive to improve lives through extraordinary dental work. Give us a call at 773-883-1818 to schedule a visit with us.